Generally speaking, there are about 35 types of silk fibers. A majority of consumers are confused about numerous silk products. Today, I will introduce you to some basic and most commonly-seen silk types that we feel you need to know. 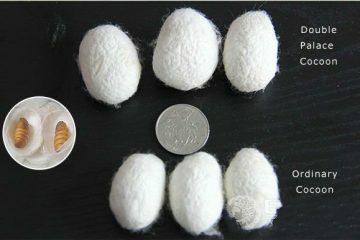 Mulberry silk is the long silk fiber produced by matured and domesticated silkworm when they secrete liquid silk, also known as “natural silk fiber”. It is the earliest animal fiber used by human being as well as the most genuine silk fiber for all kinds of silk clothes, which is lightweight, soft and absorptive of moisture. In addition, mulberry silk contains over 18 amino acids and protein fibers which is healthy for human skin and hair. 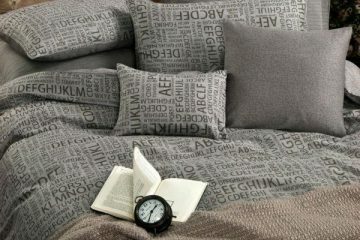 For example, the hygroscopicity of mulberry silk comforter is 1.5 time higher than that of cotton comforters. Besides, mulberry silk is pretty hypoallergenic, and as a consequence, many dermatologists recommend silk bedding and apparel for aged and sick people. Compared to other silk fibers, mulberry silk is more luxurious and breathable. It may not that durable, but who’s going to use the same bedding for life? Tussah silk, also known as ‘shantung’, is a type of wild silk, that is produced by silkworms that feed on oak and juniper leaves. As the worm is not grown in a controlled environment, the moth hatches from the cocoon and interrupts the filament length, resulting in short and coarse fibers, instead of long and lustrous ones. Normally, it is widespread in China and other Asian countries like India, difficult to dye and most often available in its natural color, a creamy tan. It is also lightweight and airy, as well as dressy, giving cool comfort to the wearer. Moreover, it does not wrinkle easily which makes it suitable for travelling. Charmeuse silk, technically speaking, does not refer to a type of material as Mulberry silk does; it is a silk fabric made with a particular way of weaving, allowing for extra luster and shine on the front side in exchange for a dull finish at the back. Charmeuse silk can be made from all kinds of different silk including Mulberry silk and is often used on products that does not require showcasing of both sides of the fabric such as pillowcases and duvet covers. Charmeuse silk offers better drape than crêpe de chine and works well for scarves, blouses and lingerie. A light, matt fabric made from fine twisted yarns, spaced out to make the fabric transparent. It is extremely soft and elastic, highly breathable and comfortable. Dimension is added to garments by the creation of billows of fabric. Unless it is used for scarves, garments with chiffon normally require lining or backing. A lightweight fabric made by mulberry silk fibres, where part of them are twisted clockwise and others in a counter-clockwise direction. These fibres are then woven in a plain-weave fabric. The twisted fibres give crêpe its distinctive ‘pebbly’ look and feel. Comes in many different varieties – crêpe de Chine, Moroccan crêpe and crêpe georgette. It is comfortable and breathable and wrinkles easily at the rate of 8%. Doupion silk is produced from two silkworms that spin a cocoon together. This makes a strong double-thread silk, usually resulting in a rough yarn and irregularity in sheerness or weight.Black specks which occasionally appear in the fabric are part of the original cocoon of the silk worm. Removing them would both weaken the fabric and destroy part of its beauty and character. They are inherent to dupion silk fabric and should not be considered as defects in weaving. Hence, doupion silk is durable and lustrous, and resists wrinkles to some extent. It is also known as China silk, Habutai, Pongee. The “classic” silk fabric, was first used to line kimonos, with plain-weave fabric.Its weight can range from 5 mm to the heavier 12 mm. Most scarves are made of 8mm Habotai. Soft and lightweight, Habotai silk is a kind of smooth fabric and has a beautiful drape and smooth surface. Any advice or comments? Contact me at [email protected] or just leave your message here.